Today, a signing ceremony was organised in Belgrade where 53 municipalities signed RHP implementation agreements with the Commissariat for Refugees and Migration and the PIU Research and Development Ltd. 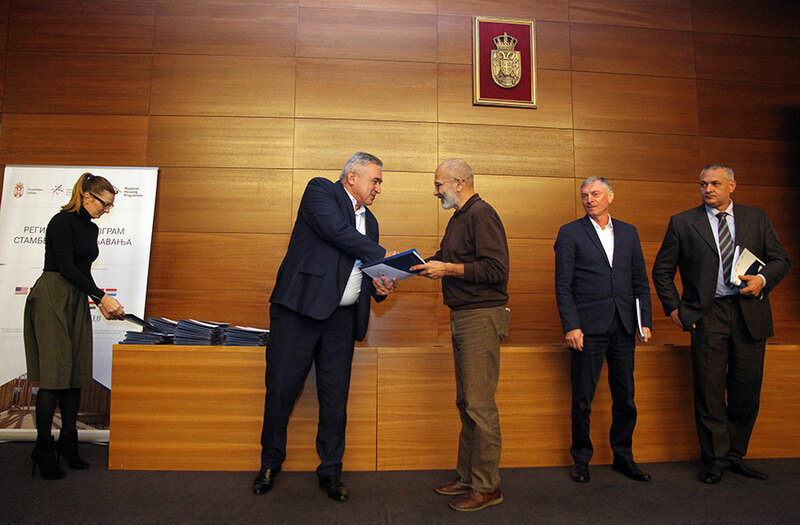 In total, these agreements cover the delivery of 899 housing solutions in different municipalities throughout Serbia, covering 567 village houses and 332 packages of building material. The grant amount for the purchase of a village house amounts to EUR 11 000/beneficiary whereas each package of building material is worth EUR 9 000. 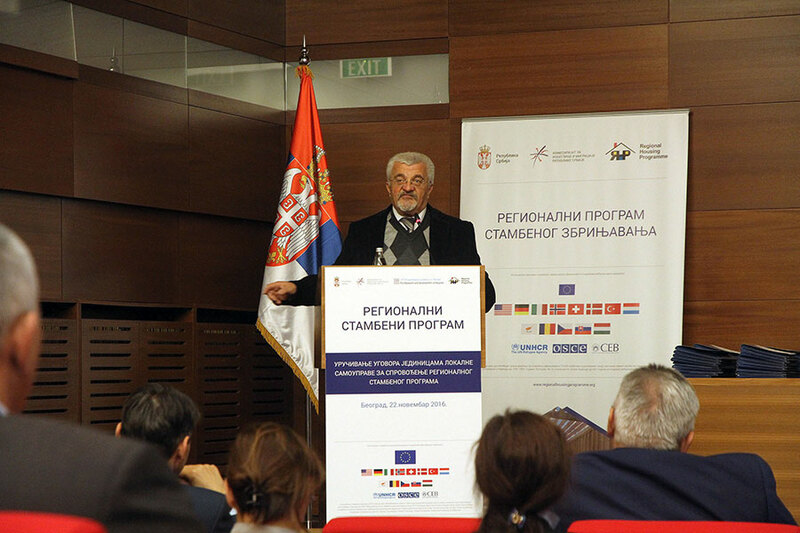 On behalf of the Commission for Coordination of Permanent Refugee Integration, the event was opened by Veljko Odalovic, Secretary General at the Ministry of Foreign Affairs of the Republic of Serbia. Mr Odalovic underlined that the RHP is part of a wider process improving the cooperation between the countries in the region, solving the problems of displaced persons and overcoming other remaining issues from the past. He also stressed the importance of the engagement of the municipalities, saying that the role of local governments is crucial for successful implementation of the RHP. In addition to the municipality representatives, the Commissariat for Refugees and Migration and the R&D PIU, the event was attended by representatives of the two main RHP donors the European Commission and the U.S., the City of Belgrade, UNHCR and OSCE. The Commissioner for Refugees and Migration Vladimir Cucic said that presently, five RHP sub-projects are being implemented in 117 municipalities. “The implementation is in full swing. Only this year, we have signed a contract for the construction of 270 apartments in Kamendin (Belgrade), awarded 69 village house contracts to refugee families, and started the construction of 235 apartments for refugees in the Belgrade suburb of Ovca”, said Commissioner Cucic.